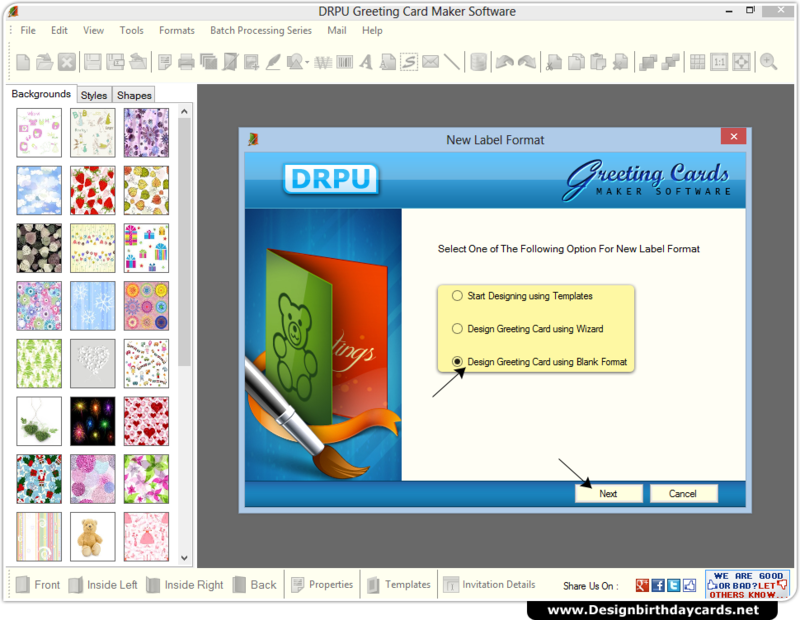 Choose option to design greeting card using New Label format. 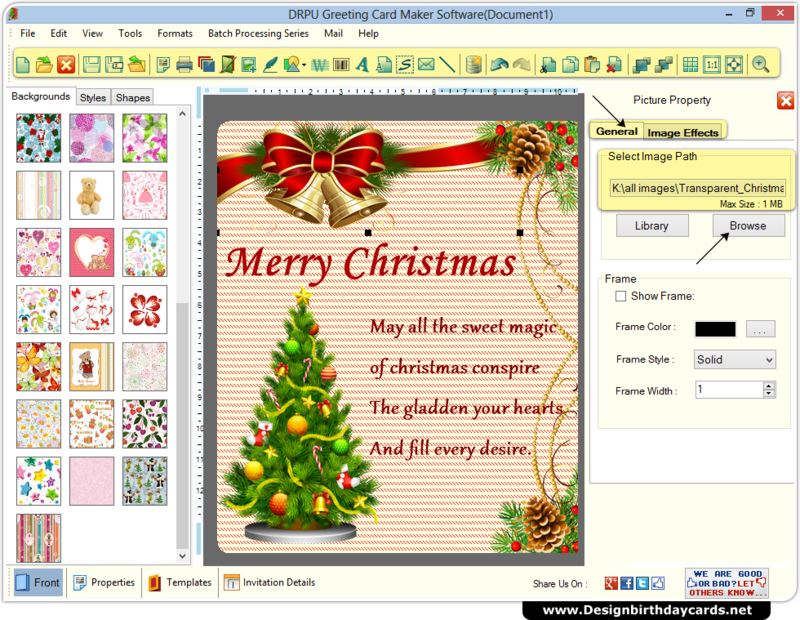 Specify Label name, size, shape and type of fold. 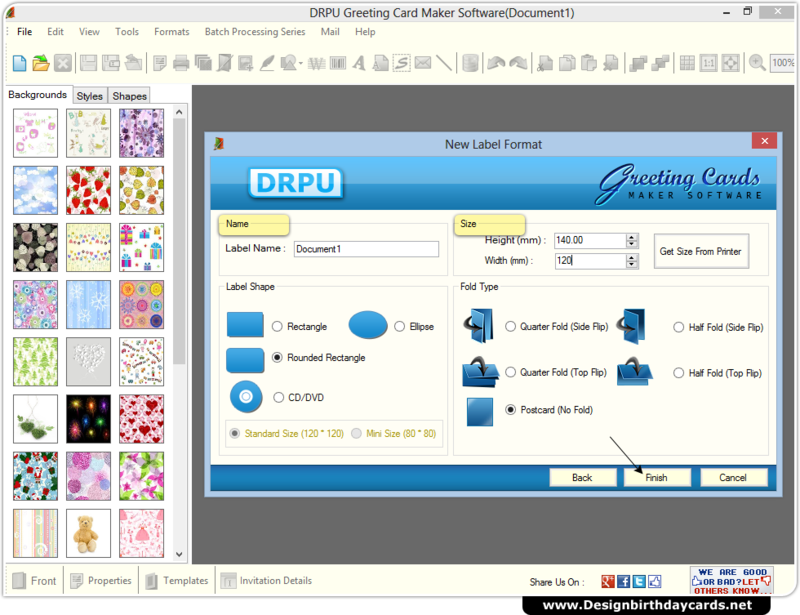 Add Background from left panel and browse picture to be use using Picture property. 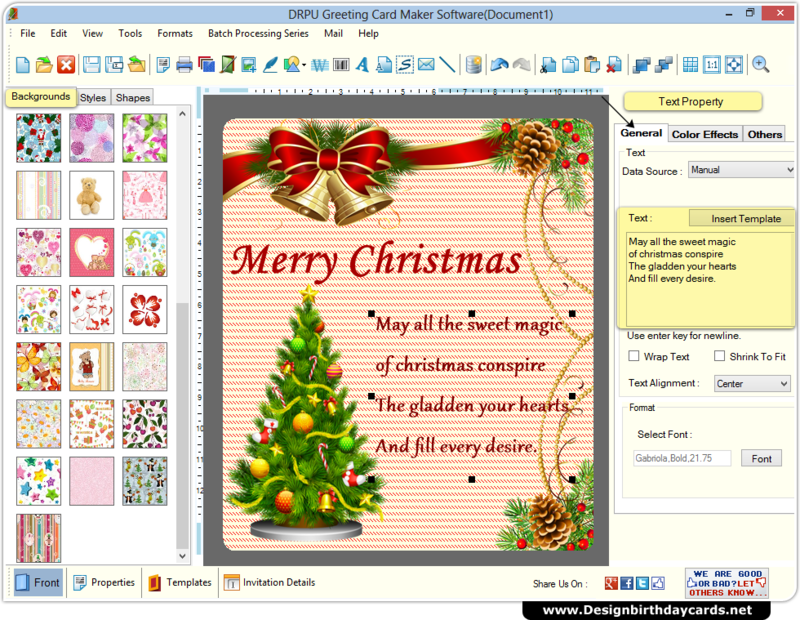 Edit text style, font and color using text property from right panel.